Justin Keller San Francisco up and coming tech yuppie sets off revolt after penning an open letter criticizing the city's homeless. Justin Keller San Francisco up and coming tech yuppie sets off revolt after penning an open letter criticizing the city’s homeless. 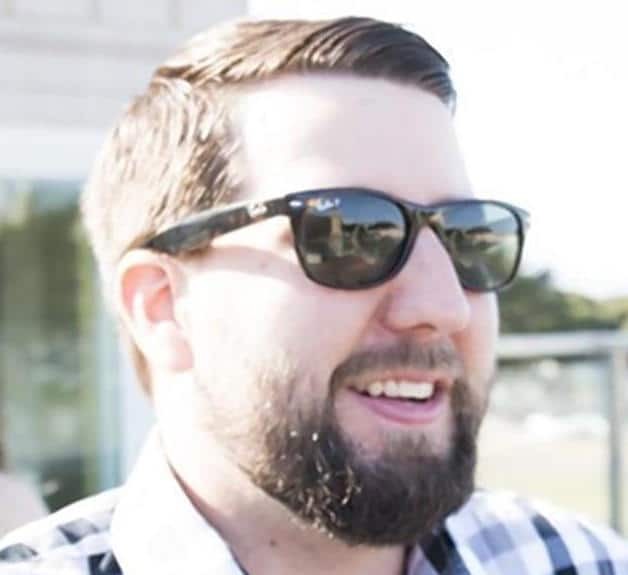 Causing eyeballs to strain is an open letter San Francisco tech bro, Justin Keller penned to mayor Ed Lee and police chief, Greg Suhr in which the Californian yuppie expresses his discomfort with the homeless ‘riff raff’ living in his the streets. In his letter, Keller a developer and budding self made entrepreneur (aren’t we all these days Justin ?) and founder of startup Commando.io, waxes on how as an up and coming master of the tech world he has become entitled to live in the rapidly gentrifying city which he has called home for three years while having to contend with the increasing and inconvenient problem of those of you who choose to remain homeless. Sounds good to me. Work hard play hard live hard. But what about the rest of you who don’t have the gumption to be tech or media or wall st titans or living off the radar? Or better still, what about all you homeless type who Justin Keller reckons have overstayed your welcome in his new shiny happy yuppie city? Well according to Justin, now might be the time you all think about get up and simply disappear as your ‘dinner’ invitation to the spoils of the great American dream ( described as the free market in Justin Keller’s post- assuming that we really live in a free democratic market and access for all) has all but expired and passed on to the likes of more deserving, hard working and presumably more socially and economically dextrous individuals like Justin. In his post, Keller, who hails from Santa Barbara, describes his disgust with the city’s homeless, with the tech bro expressing his disdain when his visiting parents and relatives were on three occassions, asked for money and harassed. Try moving to NYC Justin. It’s at least five times a day. Don’t worry I tell them I just gave at the office. Needless to say our collective hero’s blog post hasn’t gone down particularly well as the spectacle of the haves and have nots becomes an increasingly disconcerting and awkward eyesore in post modern America. An eyesore if one happens to be living on the economic margins and hardly or simply no longer able to manage with the rising costs of day to day living in the uber city or preempted in joining the yuppie bonanza that’s there for the taking. But is it really there for the taking Justin? An eyesore for those who have managed to make it and are now forced to tip toe through the icky streets laden with the downtrodden who will never amount to much and ought to consider killing themselves or second best just moving to a poorer part of America. Never mind that the poorest parts of America these days is all of America. Needless to say, Justin’s post led to social media having a field day with the ‘insensitive’ yuppie. That though hardly fazed Keller who responded by informing his haters that they are simply missing the point. Neither the mayor nor the police chief had responded to Justin’s open letter. Can you guess why?